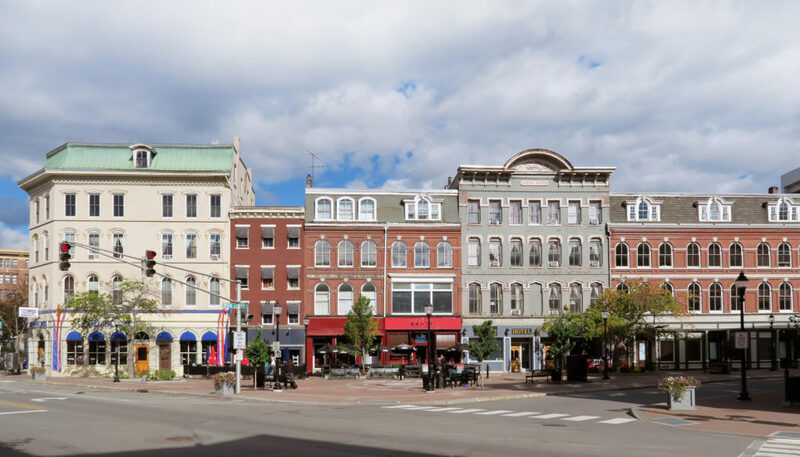 Maine’s third largest city, Bangor has qualities shared by America’s best small towns: It’s safe, offers top-notch schools, and has more than its share of caring, engaged citizens. 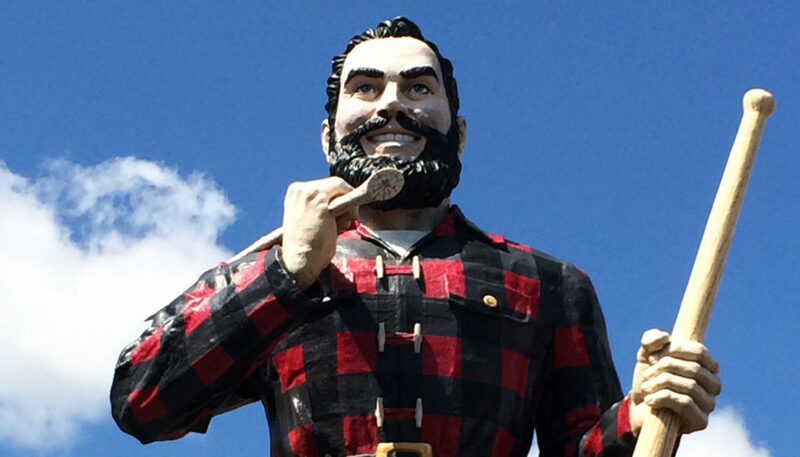 It’s also home to a giant statue of Paul Bunyan and a giant literary figure named Stephen King. Bangor has a storied history (once known as the Lumber Capital of the World) and has a surprising number of amenities for a city its size. Like many cities, area healthcare and educational institutions like Northern Light Healthcare and the University of Maine employ a lot of people, as do General Electric, Bangor Savings Bank, Hannaford Supermarkets, Hollywood Casino, Wayfair, Maine Air National Guard, and others. Bangor, Maine is a great place to get a lot of house for your money. According to Bestplaces.net, the median price is $139,200 in Bangor, and $155,200 to $191,800 in nearby towns Brewer and Hampden. People who want to “steal” a fixer-upper in the country will have lots of options nearby in one of over a dozen small towns within a 20-minute drive of Bangor. Summertime in Bangor is basically glorious, with afternoon temps in the upper 70s to low 80. Fall foliage brings leaf-peepers from all over. Cold winters have our many skiers, sledders, and snowshoers thinking snow in January, February, and early March. April is celebrated as the dawn of Bangor’s “mud season,” a favorite of those who own ATVs. Between Waterfront Concerts and Cross Insurance Center, Bangor hosts over a dozen national touring acts each year. The Gracie Theater at Husson University and Bangor Arts Exchange also bring in a variety of talent, with additional attractions in nearby Orono, at Collins Center for at the Arts at the University of Maine. The American Folk Festival brings in a world of musical expression to Bangor each August. Eastern Maine Community College, Husson University, Beal College and UMA’s Bangor campus are all within city limits. While not in Bangor proper, the University of Maine in Orono, with 10,000 students, is also an important educational resource and a major employer. 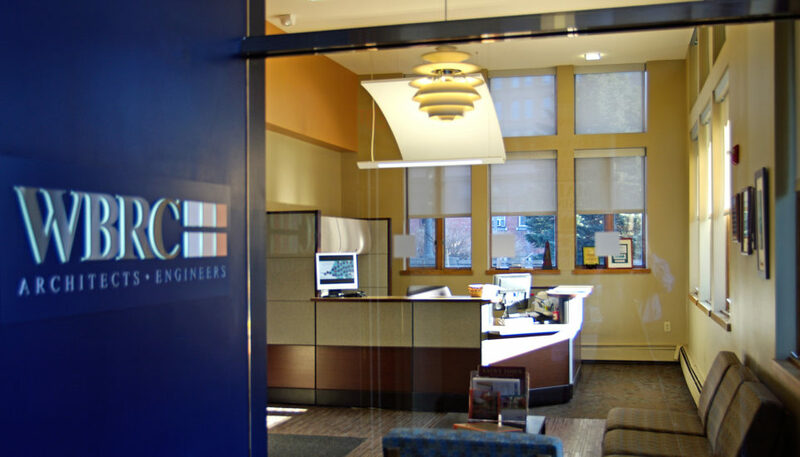 Many members of WBRC’s engineering department are UMaine grads. Bangor has several intriguing museums. Two are downtown: Maine Discovery Museum geared for children under 12, and University of Maine Museum of Art, a small space with high-quality exhibits. The Cole Land Transportation Museum is on the outskirts of the city, and the Bangor Historical Society hosts tours of its Thomas A. Hill House Museum two days a week. The Bangor area has many beautiful outdoor spaces, from wildlife refuges to ornamental gardens. One of the loveliest spots in the city is actually Mt. Hope Cemetery the 2nd oldest garden cemetery in the country. Another treasure, the Orono Bog Walk, actually starts from Bangor City Forest. This 4,200-foot long boardwalk leads you through a forest of ferns, skunk cabbage, moss, and culminating in a tranquil open vista atop a 10,000-year old bed of peat. Bangor Art Society, founded in 1875, is the oldest art society in the country. Bangor Symphony Orchestra, founded in 1896, is also one of the nation’s longest-lived orchestras. Penobscot Theatre Company, another Bangor gem, is a spring chicken by comparison, founded in 1973. The city is also home to two ballet companies and hosts First Fridays Downtown Artwalks from May to October. Bangor International Airport (BGR) is a low-stress hub offering an array of direct domestic and international flights, including Allegiant flights to three Florida destinations, something locals appreciate in mid-winter. Concord Trailways travels daily to Portland and Boston, while the local business service, The Community Connector, has been providing fixed route transit in Bangor and surrounding towns since 1972. Below are some additional sources of information for you and the family. Could WBRC could be your professional destiny? If you’re qualified for an open position, we encourage you to apply via Indeed.com. If not, we’d still love to hear from you. Contact us in confidence today via the link below.